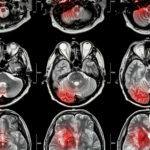 Brain injury is generally misunderstood, while those affected by the injury are largely hidden and struggle to get the help and support they deserve and need. If you complete the course, you can be the person that helps reduce the amount of injuries per day and most importantly, save someone from having a lifelong disability. Head injury is often in the news where in sports The course not only talks about the prevention methods of brain injuries, but also the effects, the damage that occurs and the need for early intervention. It is sure to provide you with essential information you need to be more aware about brain injury and concussion. Headway Suffolk, a head injury charity and ProTrainings Europe Limited have teamed up with the aim of raising awareness and reducing the risk of someone suffering with a lifelong disability. With the course you watch a series of short videos followed by knowledge r eview questions and then you complete a short test. Once completed, you can print off your completion certificate, Certified CPD certificate and an evidence based learning statement. By purchasing this Concussion and Brain Injury course, you are supporting the treasured work of Headway Suffolk as 40% of the proceeds go to the charity. For more information and to purchase this new Head Injury course visit www.proheadinjury.co.uk or call ProTrainings on 01206 805359 to discuss the course and group discounts. You can also use our online chat on any website.